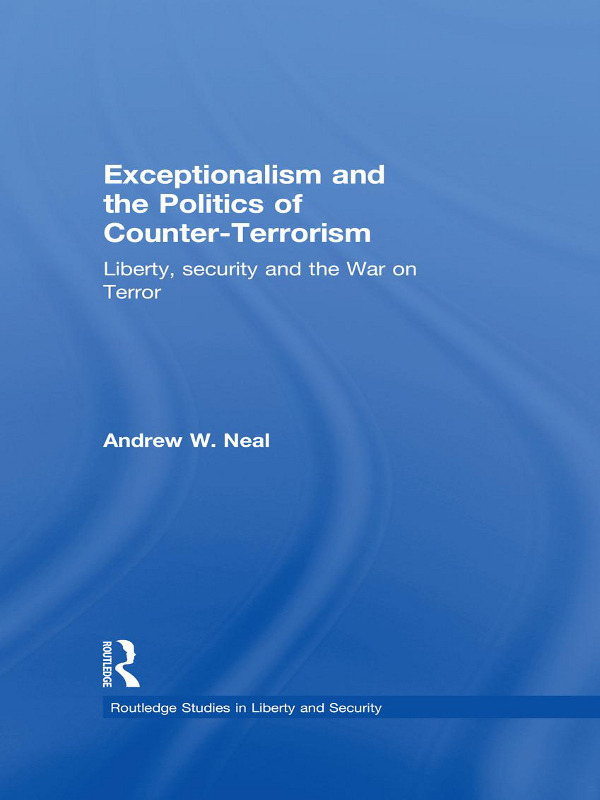 This book is an analysis and critique of the concepts of ‘exception’ and ‘exceptionalism’ in the context of the politics of liberty and security in the so-called ‘War on Terror’. Since the destruction of the World Trade Centre on September 11th 2001, a notable transformation has occurred in political discourse and practice. Politicians and commentators have frequently made the argument that the rules of the game have changed, that this is a new kind of war, and that exceptional times require exceptional measures. Under this discourse of exceptionalism, an array of measures have been put into practice, such as detention without trial, ‘extraordinary rendition’, derogations from human rights law, sanction or connivance in torture, the curtailment of civil liberties, and aggressive war against international law. Situating exceptionalism within the post-9/11 controversy about the relationship between liberty and security, this book argues that the problem of exceptionalism emerges from the limits and paradoxes of liberal democracy itself. It is a commentary and critique of both contemporary practices of exceptionalism and the critical debate that has formed in response. Through a detailed assessment of the key theoretical contributions to the debate, this book develops exceptionalism as a critical tool. It also engages with the problem of exceptionalism as a discursive claim, as a strategy, as a concept, as a theoretical problem and as a practice. This is the first book to capture the importance of the exceptionalism debate in a single volume, and will be of much interest to students of critical security studies, political philosophy, IR theory and sociology.